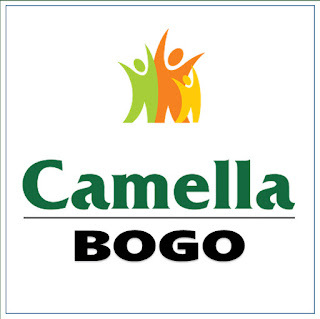 The city status of Bogo was never been reverted to Municipality. The Supreme Court has put rest the cityhood case of the 16 cities which includes the City of Bogo and two other LGU's in Cebu (Carcar and Naga). With the Supreme Court's final ruling on constitutionality of cityhood laws of 16 LGUs, it is very clear that the City of Bogo remains a city since its plebiscite last June 16, 2007 up to the present. MANILA, Philippines -- The Supreme Court (SC) has declared final its ruling on the constitutionality of the laws that converted 16 municipalities into cities as it ordered an entry of judgment that would finally put the issue to rest. READ MORE AT MANILA BULLETIN. MANILA -- The Supreme Court (SC) has ordered its Clerk of Court to issue an entry of judgment on the cityhood case of 16 municipalities, sealing with finality the constitutionality of 16 Cityhood Laws. Declared as constitutional were Republic Act (RA) nos. 9389 (Baybay City in Leyte), 9390 (Bogo City in Cebu), 9391 (Catbalogan City in Samar), 9392 (Tandag City in Surigao del Sur), 9393 (Lamitan City in Basilan), 9394 (Borongan City in Samar), 9398 (Tayabas City in Quezon), 9404 (Tabuk City in Kalinga), 9405 (Bayugan City in Agusan del Sur), 9407 (Batac City in Ilocos Norte), 9408 (Mati City in Davao Oriental), 9409 (Guihulngan City in Negros Oriental), 9434 (Cabadbaran City in Agusan del Norte), 9435 (El Salvador City in Misamis Oriental), 9436 (Carcar City in Cebu), and 9491 (Naga City in Cebu). “The finality of the resolutions upholding the constitutionality of the 16 Cityhood Laws now absolutely warrants the granting of respondents’ Motion for Entry of Judgment,” the SC ruled. Lawyer Estelito Mendoza, counsel for the 16 new cities, in a motion for entry of judgment dated May 9, 2011 has urged the SC to make an entry of judgment to make the cityhood laws final and executory and for the much needed Internal Revenue Allotment (IRA) of the new cities to be finally released by the Department of Budget and Management. MANILA, Philippines - The Supreme Court has ended the legal dispute on the cityhood of 16 former towns in the country. The high court ordered its clerk of court to issue an entry of judgment on the case, thus sealing with finality the constitutionality of the 16 cityhood laws. Declared as constitutional were Republic Acts (RA) 9389 (Baybay City in Leyte), 9390 (Bogo City in Cebu), 9391 (Catbalogan City in Samar), 9392 (Tandag City in Surigao del Sur), 9393 (Lamitan City in Basilan), 9394 (Borongan City in Samar), 9398 (Tayabas City in Quezon), 9404 (Tabuk City in Kalinga), 9405 (Bayugan City in Agusan del Sur), 9407 (Batac City in Ilocos Norte), 9408 (Mati City in Davao Oriental), 9409 (Guihulngan City in Negros Oriental), 9434 (Cabadbaran City in Agusan del Norte), 9435 (El Salvador City in Misamis Oriental), 9436 (Carcar City in Cebu), and 9491 (Naga City in Cebu). In an 8-page resolution penned by Justice Lucas Bersamin, the court said it cannot entertain the motion for reconsideration of petitioner League of Cities of the Philippines, et al. of its April 12, 2011 resolution.